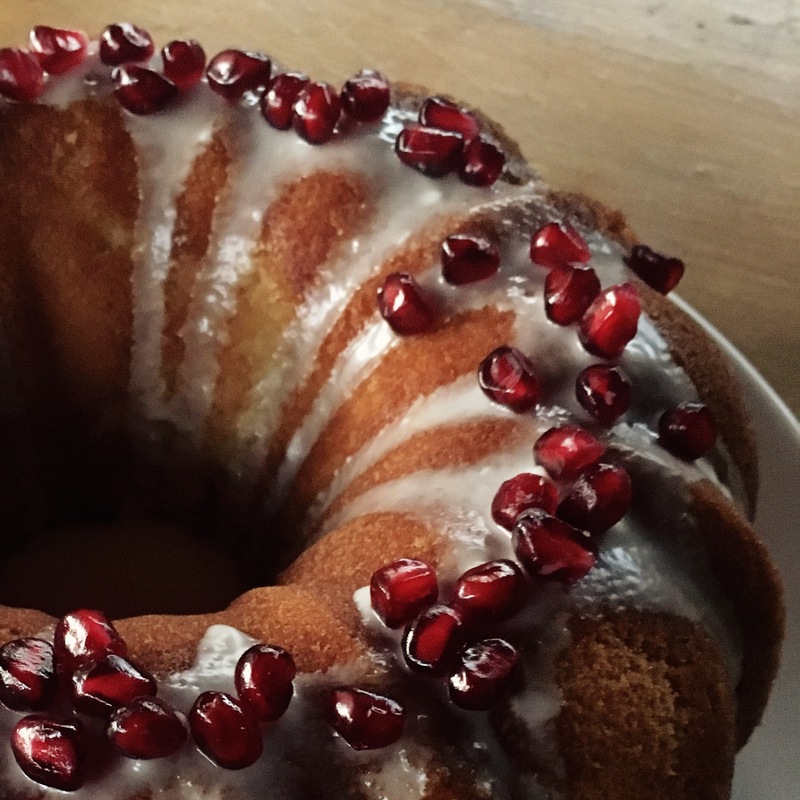 My neighbor gave me some pomegranates and there are very few things you can bake with them, so I made up my own. Preheat oven to 350°F. Grease bundt pan. Whisk the flour, salt, baking powder, and baking soda together in a bowl. In separate bowl or stand mixer, beat butter and sugar on high speed for 2 minutes. Add the eggs and the vanilla. Beat on medium-high speed until combined. Beat in the juice. On low speed, add the dry ingredients in three additions alternating with the buttermilk and mixing each addition just until incorporated. Spoon the batter evenly into the bundt pan. Bake for 45-55 minutes. Allow to cool for 10 minutes inside the pan. Invert onto a wire rack set over a large plate or serving dish. Allow cake to cool before glazing and serving. To make the glaze, whisk the confectioners’ sugar, 2 tablespoons of orange juice, and vanilla together. It will be very thick. Whisk in 1 or more Tablespoons of juice, depending how thick you’d like the glaze. Drizzle over cake. Sprinkle pomegranate seeds on top.